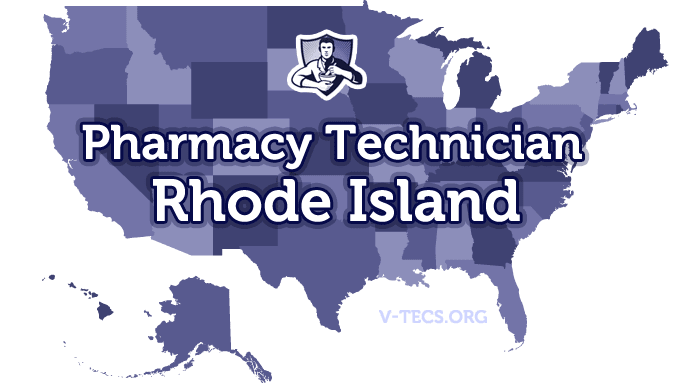 Rhode Island can be a great place to gain employment as a pharmacy technician, and you need to know the regulations and requirements if you are going to pursue it. Are Pharmacy Technicians Regulated In Rhode Island? Does Rhode Island Require Certification To Practice As A Pharmacy Technician? No, but the state of Rhode Island does distinguish the difference between those that are and aren’t certified. A tech II is someone that is certified, and a tech I is someone that is not certified. Which Of the Certification Exams Are Approved By Rhode Island? The Rhode Island Pharmacists Association, which can be contacted at www.ripharmacists.org. What Are the Requirements To Become Licensed As A Pharmacy Technician in RI? Have a high school diploma or equivalent, or you can also be on your way to getting one of the two through a program. If you don’t have your certification, you must be enrolled in a board approved training program, which can be provided by your employer. Next comes the written application that is your request for registration as a pharmacy technician which you will send to the Rhode Island State Board of Pharmacy, and it can be found at http://www.health.ri.gov/applications/PharmacyTechnician.pdf. You must include the $40 nonrefundable application fee. Last but not least, you should have no felony convictions that involve drug abuse and you need to have the application notarized. Yes, you will need to pass a board approved program of training. No there are not. But if you are nationally certified, you will have some CE requirements. Annually, and the expiration is on the 30th of June every year. The fee for renewal is $40 and the renewal applications will be sent out by the state board. Notify the board of the change in writing. -Pharmacy technicians must have their licenses displayed clearly in a pharmacy and have their name tag on at all times stating they are a technician. -Those technicians may also only perform duties that do not require professional judgment. -The pharmacist that is supervising their pharmacy technicians are also responsible for all of their actions.